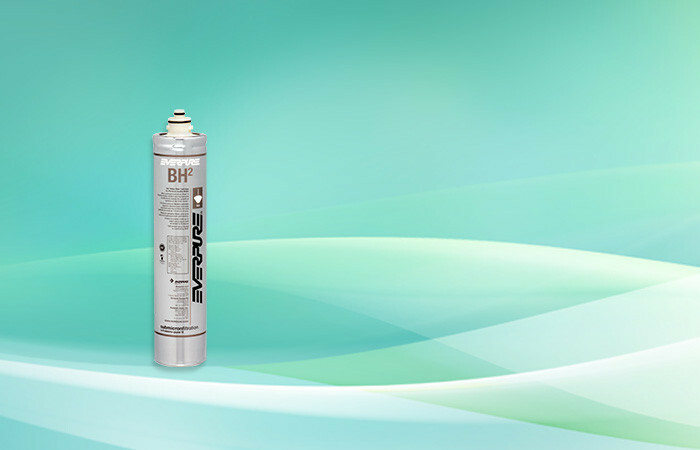 The Everpure EV9612-50 BH² Filter Cartridge improves the taste of coffee and other beverages. This cartridge includes a scale-inhibitor that helps to protect expensive equipment. Everpure EV9612-50 BH² Filter Cartridge | 14-1/2″ length x 3-1/4″ Diameter | Capacity: 3000 gallons | The Everpure EV9612-50 BH² Filter Cartridge improves the taste of coffee and other beverages. The BH2 Everpure water filter replaces the old BH Everpure filter but fits in the QC4-BH head. With the Everpure BH², your customers will enjoy great tasting water and premium quality beverages.